Also known as the ‘Blessed Seed’, Nigella Sativa (Black Seed) is an ancient Islamic remedy formulated 1400 years ago and used by the prophet himself. Over the centuries, it has been taken in Asia, Middle East and Africa as a natural supplement for respiratory and digestive health, circulatory and immune system support, and general well being. 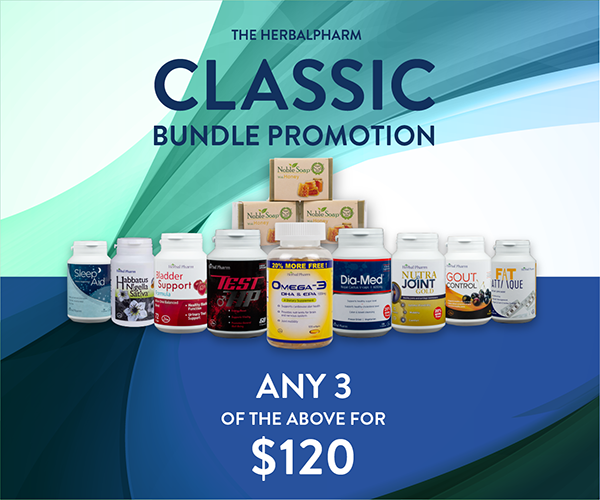 Herbal Pharm combines this ancient healing wisdom with advanced technology to formulate a supplement brimming with nutritional goodness. Buy 3 Habbatus Nigella Sativa for S$120.00! OR mix and match with other bundle deal products! The Nigella Sativa seed itself contains numerous unusual unsaturated fatty acids and the chemical composition is very rich and diverse. It contains 15 amino acids, (including eight of the nine essential ones), fatty acids, dietary fibre as well as minerals such as calcium, iron, sodium and potassium. Used as bio regulator or cure for the disease that attacks the immune system. Also known as black cumin, it has the ability to clean up and neutralize toxins in the body. Protect cells from damage caused by unstable molecules known as free radical, preventing the beginning of many illness. Halal gelatin, and purified water. As a dietary supplement, take two (2) soft gels daily, after meals. 3 customers gives Habbatus Nigella Sativa a thumbs up! I've been taking it for a week. It's very good for stomach, cures inflammation and pain. Taking daily, I'm dealing with lots of gas and loose stools. I will stretch it out to take every 2-3 days, hopefully with better result. Super fast shipping, the price was reasonable. The grade of the product was excellent.